A classic design from Sekonda. This ladies' watch is a simple yet elegant design featuring a round white dial and date function, teamed with a black strap. 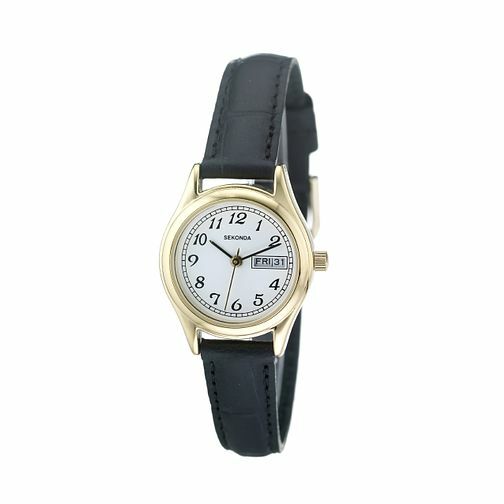 Sekonda Ladies' Black Strap Watch is rated 4.4 out of 5 by 5. Rated 4 out of 5 by Anonymous from nice looking watch I bought this watch for a friend, she was very happy with it, it was everything she wanted especially with the day as it is every hard to find one.